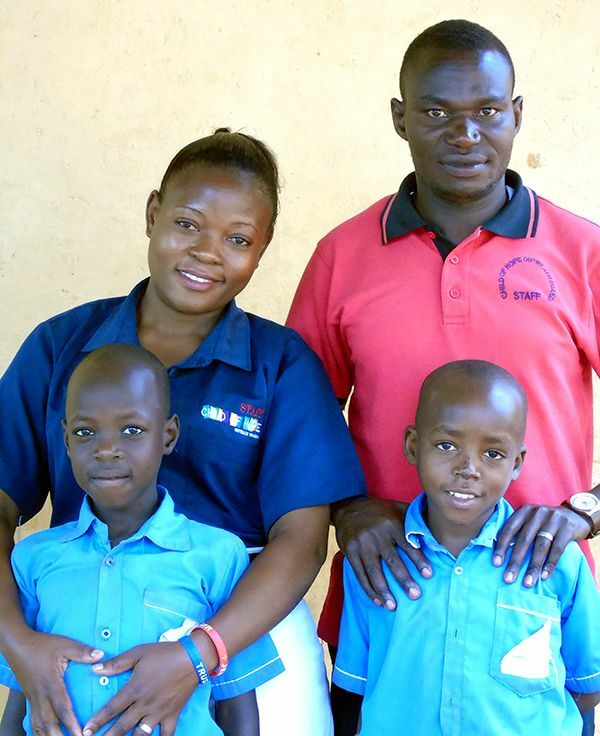 Please could you help us build a secondary school for slum children? 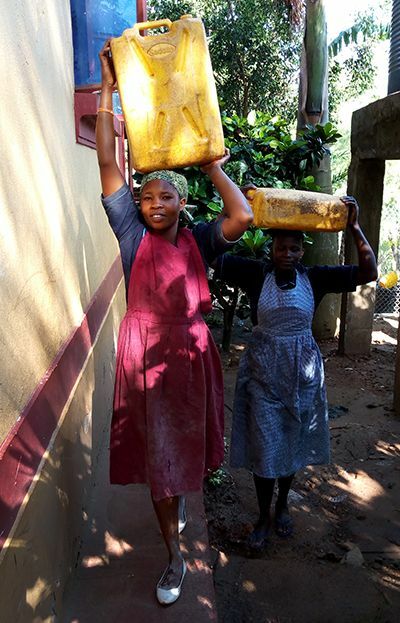 Read our summer newsletter... full of news from our team in Uganda. We have closed our former children’s respite accommodation! 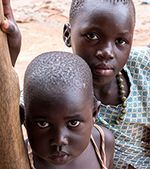 Instead we have a much better arrangement – several caring foster homes for all our orphans and vulnerable children. 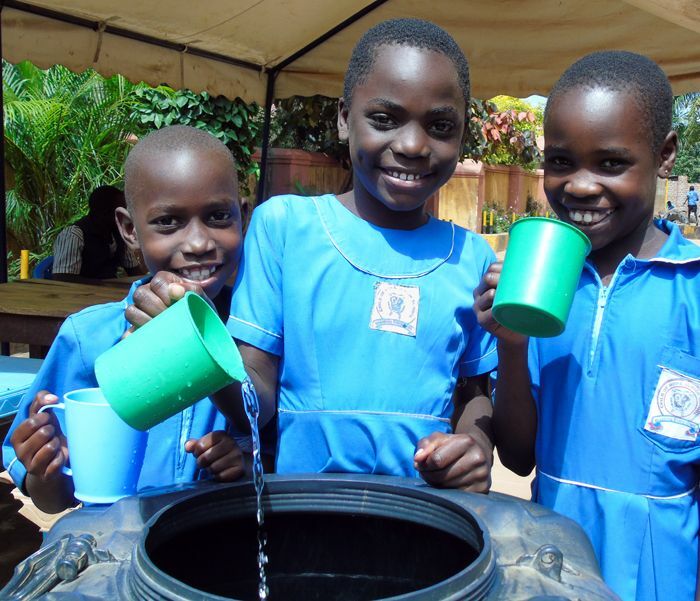 A Cholera outbreak is currently hitting Mbale and our team in Uganda has taken steps to prevent it affecting as many of our pupils and families as possible. Our kitchen team – that’s Susan, Margret, Mary and Annet – arrive much earlier than other staff our school to ensure that food is ready on time for all 500 children and 70 staff. 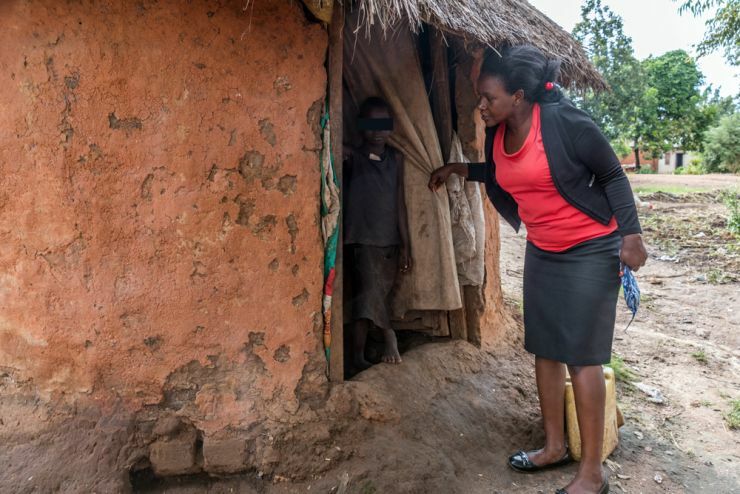 Uganda’s daily newspaper New Vision highlights a new report from Save the Children, which reveals that millions of children in Uganda are still out of school, often dying before their fifth birthday. 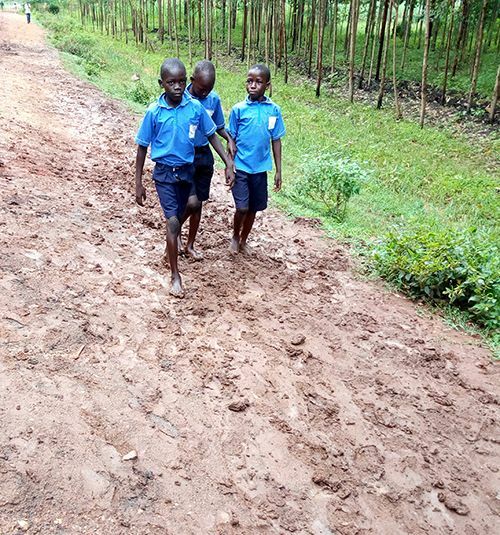 Whenever it rains here, many of our kids and staff end up walking along extremely muddy roads to get to school. 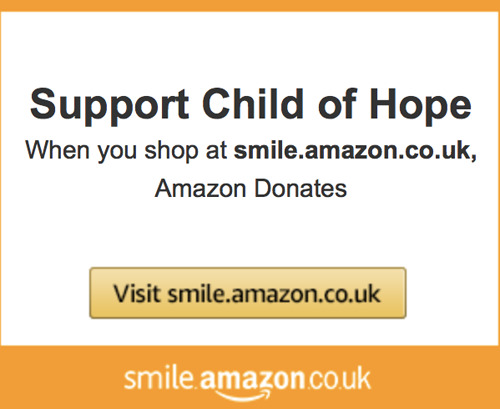 Now when you shop at smile.amazon.co.uk, Amazon will donate 0.5% of the net purchase price of eligible purchases to Child of Hope. 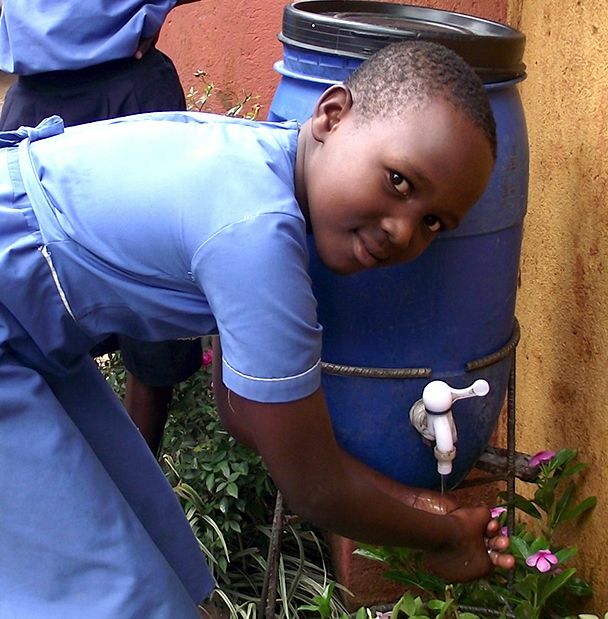 Thanks to some tremendous fundraising and support from St. Leonard’s Church, Oakley, we now have a rainwater harvesting system at our school.